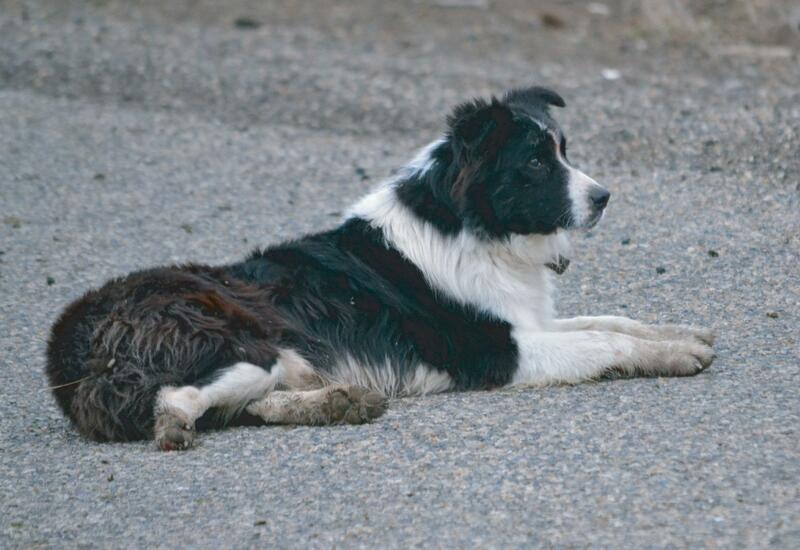 A Boise-area sheep rancher says a wolf killed his border collie in the Boise foothills earlier this month. Rancher Frank Shirts says a wolf killed one of his herding dogs on May 8 in the upper Hulls Gulch area of the foothills. It's the first wolf-related problem Shirts' herd has encountered since 2010. "I thought people would like to know," Shirts said. Todd Grimm, the Idaho director of USDA Wildlife Services, confirmed the dog was killed by a wolf. He says trauma and bite marks support that conclusion. USDA wildlife officials say Teson, a Border Collie belonging to rancher Frank Shirts, was killed by wolves in the Boise foothills May 8. According to a release issued by the Idaho Rangeland Resources Commission, wolves have been threatening sheep herds in the foothills recently. Ranchers have fired warning shots from rifles to keep the predators at bay. "As long as the wolves are around, we're going to have this problem," Shirts said. In 2010, Shirts lost 11 sheep to wolves. At the time, wildlife officials confirmed the deaths of eight lambs and three ewes were caused by wolves. Ranchers have seen at least four wolves in the area in recent weeks. Grimm says he's not sure if a wolf pack is forming there or not. Wildlife Services has been using a helicopter to try and locate wolves in the foothills. Grimm says they haven’t located any yet, but that personnel on the helicopter are carrying a shotgun and plan to kill wolves found in the area. State wildlife officials in northern Idaho say poachers are killing far more game animals than wolves. Officials tell the Lewiston Tribune that last year in northern Idaho they confirmed poaching of 30 elk, four moose, 13 mule deer and 57 whitetail deer. Officials say a realistic detection rate is 5 percent, meaning poachers are likely killing about 600 elk, 80 moose, 260 mule deer and 1,000 whitetail. A new population tally of gray wolves in the U.S. Northern Rockies shows their continued resilience despite increased hunting, trapping and government-sponsored pack removals. State and federal agencies said Friday there were a minimum of 1,691 wolves at the end of 2013. That's virtually unchanged from the prior year even as state wildlife agencies adopted aggressive tactics to drive down wolf numbers. Under pressure from livestock and hunting groups, Idaho officials have used helicopters to shoot packs. Montana has eased hunting and trapping rules. Idaho Gov. C.L. "Butch" Otter has signed a bill to create a state board that will work to control the growth of wolf populations in the state. Otter signed the bill on Wednesday, despite opposition from some conservation groups. The bill, which passed on the final day of the recent legislative session, creates a $400,000 fund and establishes a five-member board whose job is to authorize the killing of wolves that come into conflict with wildlife or livestock. The money comes from the state's general fund. Idaho's wolf population is on the decline, heading toward 10 breeding pairs, or 150 wolves. That's the goal set in the 2002 wolf management plan that will remain the state's official policy unless it is changed by the Legislature. The Idaho Statesman reports that last week's legislation to establish an Idaho Wolf Control Board, along with efforts to expand and increase wolf hunting and trapping, has galvanized some national conservation groups.